We are the Davies family and we take great pleasure in ensuring that your holiday here with us at Brownhill is a special one. We pride ourselves on our high customer care – nothing is too much trouble as that is what we expect for ourselves on our own holidays. Mr Davies senior is still very much involved in the business and enjoys welcoming new guests and customers to the park. He established Brownhill Holiday Park in 1966 and we recently celebrated 50 successful years in business. We marked the occasion with a Fun Day and raised £1200 for Cancer Research. 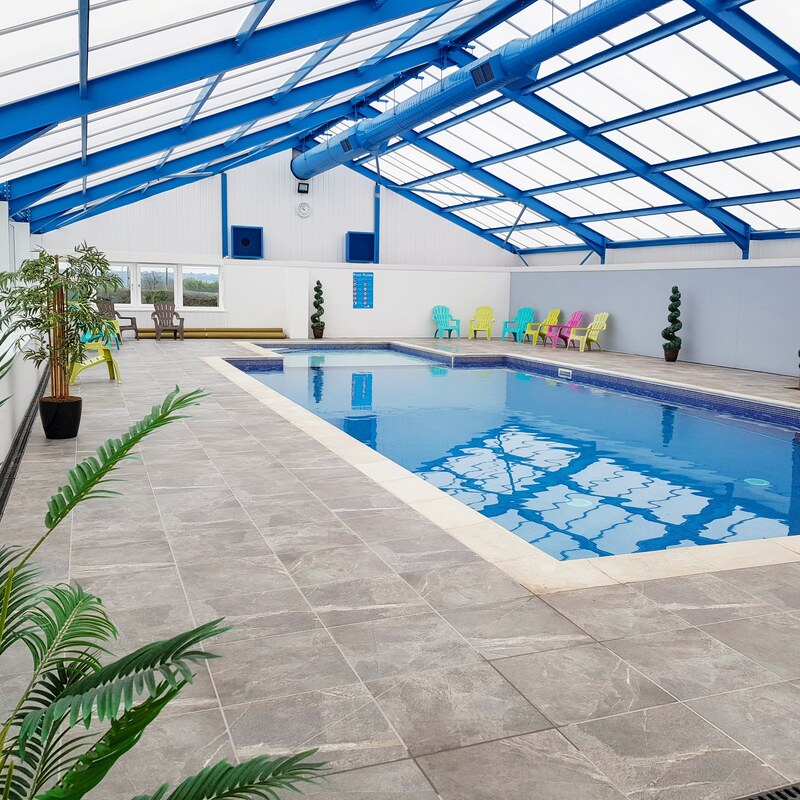 Take a dip in our newly refurbished indoor heated swimming pool. We have a shallow area (1 ft deep) suitable for toddlers and non swimmers, we do allow swimming aids for babies and non-swimmers/learners only. The bigger pool starts at a depth of 3ft with a very gentle gradient going down to a maximum of a 6ft depth. Fun for all the family, especially on those rainy days! 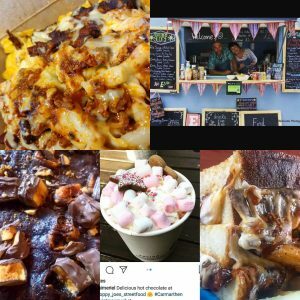 After a successful pop up last August, husband and wife duo Gary and Kris who run Sloppy Joes Streetfood and have recently been awarded Carmarthen Market Trader of the Year 2018 and will be returning on selected dates throughout the 2019 season! They will be bringing back their Classic Menu together with some exciting new Sloppy Burgers, Loaded Hotdogs and Roast Dinner Sundays! There’s no need to get in the car to enjoy a good night out – we have a licensed, on-site club just a short stroll from your holiday home. We have an entertainment programme which runs in our family room throughout the summer season, providing a variety of entertainment from solo artists, comedians, duo’s, magicians to kids disco’s and bingo. The club is open evenings only. We also have a Lounge-Bar reserved for adults only, an ideal place for a quiet chat with your neighbours. Our Play area is safely located in the centre of our park and has very recently been re-designed to the highest of British Safety Standards. 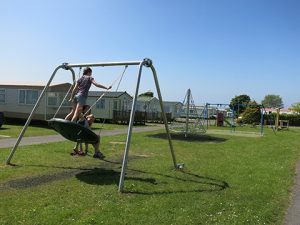 It consists of a set of swings (two suitable for toddlers), a team basket swing, a conical climbing roundabout, a climb and slide unit perfect for the younger children and timber balancing trail equipment. 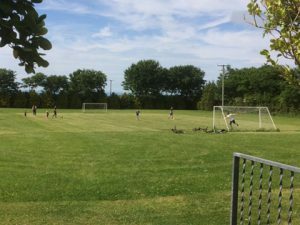 A popular facility on the Park is our very own football playing field, located behind the Meadow area of the park. Ideal for perfecting your footie skills for the serious player but somewhere that adults and kids can all enjoy some competitive fun. We have the perfect place for you to take your picnic or sunlounger! Our very own special land by the beach, which we call Charlie’s field*. With it’s breathtaking views of New Quay, no wonder it was chosen as film set Location for the Dylan Thomas film “Edge of Love” starring Keira Knightly, Matthew Rhys and Sienna Miller. 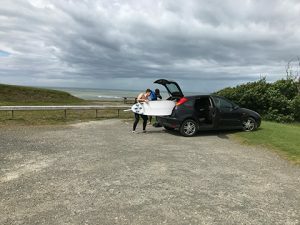 People who own a holiday home on our park have the use of our own private parking right on the beach. Charlie’s field has also provided a unique wedding venue for couples in recent years. Talk to us if you would like to celebrate your wedding in style. 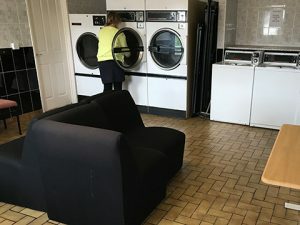 We cannot take away the chore of washing but we have done our best to make it easier for you by installing a modern and well equipped Launderette. We also have an on-site shop, which is well stocked to cater for all your day to day basic needs. 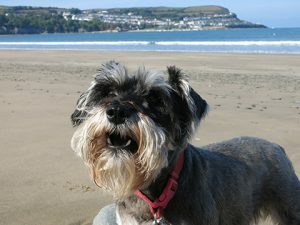 We welcome dogs that are kept on leads, alternatively they can be exercised in a field towards the far end of the park. 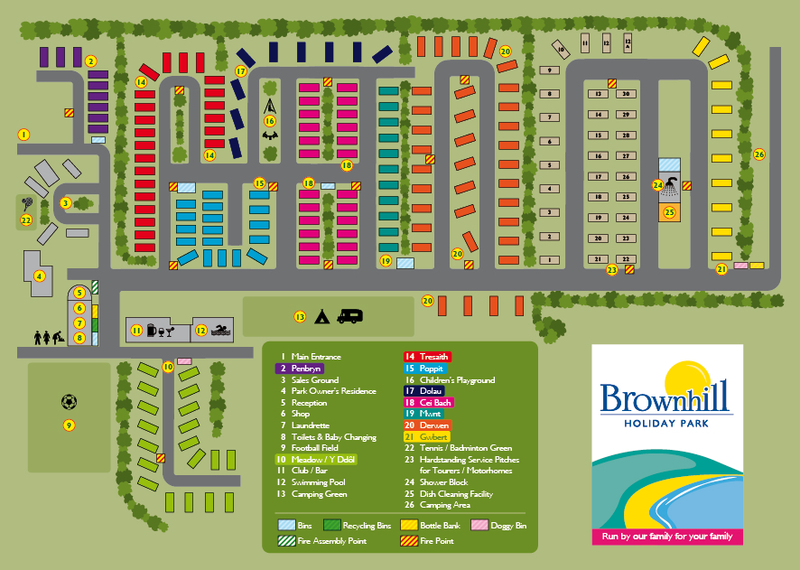 We are conveniently located beside a quiet country lane ideal to keep your canine friend happy for hours.